Between 2001 and 2006, researchers at the universities of Nottingham and Manchester constructed an online database of women involved in the processes of independence in Latin America. The database was created as part of a five-year AHRC funded project entitled ‘Gendering Latin American Independence’. The digital resource contains over 2500 biographical entries and provides details of women’s and men’s political and social participation between 1790 and 1850. The overarching aim of the project was to rethink Latin American Independence in terms of gender. 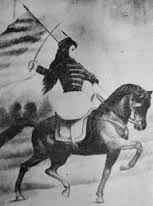 Latin American guerilla military leader, Juana Azurduy (1780-1862), on horseback. Dr Claire Brewster, who is now a senior lecturer in Latin American history at the University of Newcastle, spent five years inputting references to women whose names were registered during this period. Focusing especially on Spanish South America, she input data from 266 publications and consulted 28 archives. The database is searchable not only by name, place and date, but also by groups of women. For example, users can search for women who belonged to specific tertulias, women who were executed by those who opposed Independence, women who were patriot spies or women who supported the royalists. There are around 500 groups or links of this kind. From a researcher’s point of view, this is the most valuable aspect of the database as it shows the complex relationships between individuals and between their families. Loyalties were usually to families and loved ones, rather than to political ideology, but there is no doubt that the social upheaval created opportunities for women to operate more independently than in the ‘ancien regime’. In May 2012, Professor Catherine Davies and her team at the universities of Nottingham and Edinburgh embarked upon on a new phase of the project entitled ‘Women and Independence in Latin America’. This new stage, which lasted for a year, was funded by an Arts and Humanities Research Council, as well as contributions from the Centre of Advanced Studies and the Horizon Hub at the University of Nottingham. The team transformed the ‘Gendering Latin American Independence’ website and its database into an interactive, community-driven resource, which will allow academic and non-academic audiences alike to exchange ideas and information about the Independence struggles and their contemporary relevance. This database can be consulted at www.genderlatam.org.uk. One of the key goals of this stage of the project, which finished in July 2013, was to involve Latin American women in the UK and in Latin American countries in the recovery of their shared history, cultural heritage and identity, increasing their awareness and understanding of the contemporary relevance of women’s protagonism during Independence. For this reason, the team worked on several community knowledge exchange programmes and cultural initiatives. In August and September 2012, Catherine travelled to Buenos Aires with Dr Iona MacIntyre from the University of Edinburgh (the project’s Co-Investigator) and Dr Maria Thomas from the University of Nottingham (the project’s research assistant) to collaborate with the Museo de la Mujer, a women’s history museum, on the ‘Libertadoras’ programme. This month-long series of cultural events featured plays, discussion groups, workshops, exhibitions and guided tours on the theme of the contemporary relevance of women’s contribution to Independence in Latin America. Southwark exhibition of Empowerment through Art. Through the London-based Latin American Women’s Rights Service (LAWRS), a charity which supports Latin American female migrants in the UK, the team worked extensively with a group of teenage girls from Bolivia, Colombia and Ecuador. They participated in a series of drama workshops on the theme of the nineteenth-century ‘Libertadoras’ and in a photography project which explored the girls’ identification with Latin America community in London and asked them to address concepts of freedom, liberation and independence. 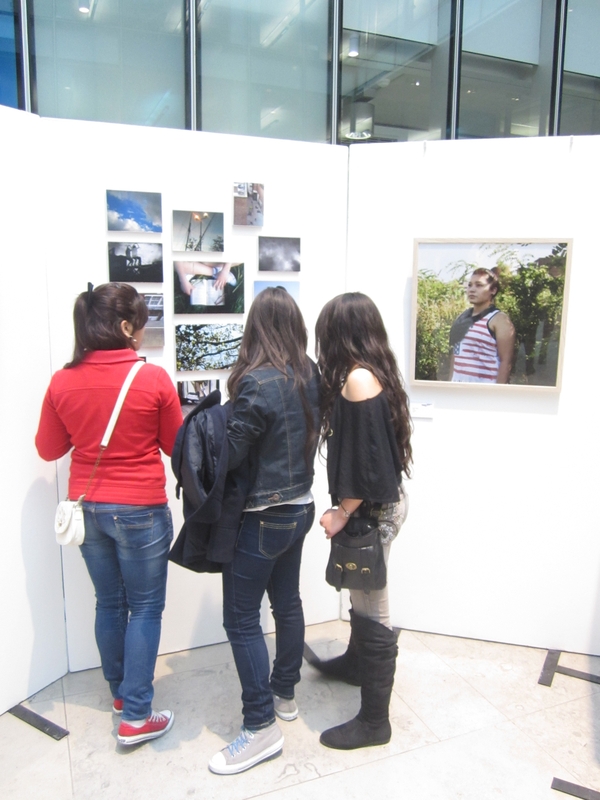 The ‘Empowerment through Art’ photographic exhibition, which was presented at the New Art Exchange in Nottingham in March and April 2013 and at the premises of Southwark Council in London in May 2013, featured the girls’ own photographs alongside portraits of the participants taken of each participant by Mexican-British photographer Pablo Allison. The girls from LAWRS also presented a play which emerged from their drama workshops, entitled ‘Razones por las que luchar’ (Reasons for Fighting) at UCL’s Institute of the Americas on May 15 2013. Drama workshops with teenagers from Bolivia, Colombia and Ecuador. Dr Maria Thomas was the research assistant on the project Women and Independence in Latin America, and is now a lecturer in Hispanic Studies at the University of Exeter. This entry was posted in exhibitions, independence, latin america, latin american history, photography, visual media, women on 26/07/2013 by ACLAIIR.